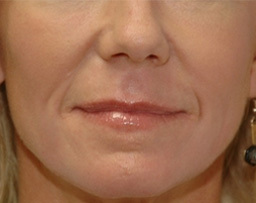 Fat augmentation is an excellent procedure for re-establishing youthful, healthy contours. It is a procedure that can be done as an isolated procedure or combined with other procedures such as laser resurfacing, chemical peels, eyelid rejuvenation, brow lifts, and is commonly used with face and neck lifts. 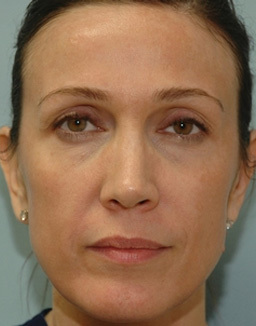 This is a representative case of fat augmentation to the peri-orbital area (around the eyes) and cheeks. During her consultation, we discussed how fat augmentation is the best treatment option for rejuvenating around the eye (peri-orbital) area and cheeks. 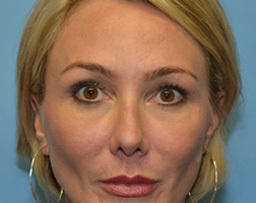 Fillers such as Restylane, Juvéderm, and Belotero are effective but are not as natural and long lasting as fat augmentation, but may be a good option for those with limited downtime or no fat stores. 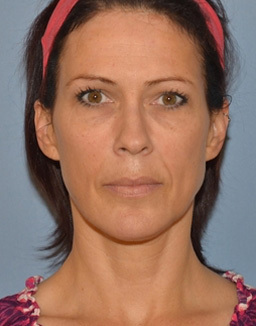 The photos demonstrate the effectiveness of fat augmentation. 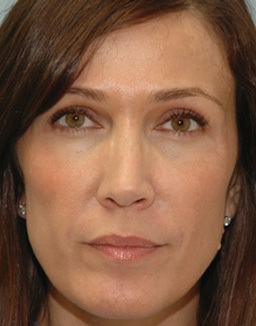 She simply looks refreshed and notice how the fullness, especially below her eyebrows, brings out the color of her eyes. Yes, fat does last and is very natural and smooth, when placed using the micro-droplet technique that I use. More information on fat augmentation can be read here. The downtime is variable but most patients are out-and-about in one week but feel more comfortable with their appearance at two to three weeks. The procedure is typically performed under local anesthesia with only mild sedation.